Imprint Group bands have performed all over the world, continuously impressing audiences with their dynamic styles and crowd-pleasing performances. Our exclusive offering of live bands cover every style and genre, from current top 40 and country to Motown and 80s rock… and everything in between! Looking for a unique entertainment experience beyond a standard band or DJ? We offer a wide variety of specialty music acts guaranteed to give your guests an experience unlike anything they’ve heard before. We’re always innovating to develop new and unique specialty entertainment offerings! Whether you're looking for an interactive DJ for your next special event or the best wedding DJ for your special day, we have the perfect fit for you! 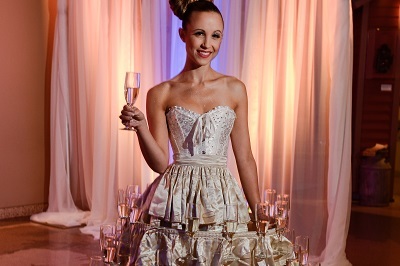 Create a lasting impression with a custom show featuring our talented singers, dancers and performers. From creative development to execution, we work with you to incorporate corporate messaging, products and people. Our vignettes are perfect for general session openers and corporate event kickers. Take your event to the next level with a custom entertainment production. 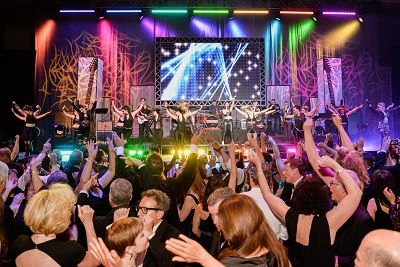 From the moment guests arrive, they will be enthralled by décor, lighting, music and special performances all centered around interactive, compelling themes. Imprint Group internally manages all casting, choreography, music, costuming and make-up for a seamless show! We offer a unique selection of live, interactive event enhancements to go along with any and every event theme. Whether you want oversized games, a living Zoltar fortune teller or a strolling dress made of champagne or napkins, our interactive products are perfect for your next event. Imprint Group DJs bring a high level of energy and expertise to every type of event. Whether you need the best wedding DJ, require a DJ for your corporate event or social celebration, our DJs enhance any event and make it the best experience for all guests. Or take it to the next level and book one of our unique DJ plus products for an enhanced entertainment experience. Imprint Group continues to be recognized and awarded for our outstanding interactive and entertainment offerings. 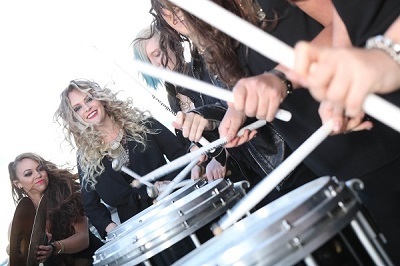 From our in-house bands, sought after across the country, to our unique acts and wow vignettes, customizable to each event, we offer a one-stop-shop for all your entertainment needs. Our list of wedding DJs are the most requested and are the top wedding DJs in Denver, and across Colorado. Check out some of our favorites below and if you don’t see what you’re looking for, just ask and we’ll get you options for your upcoming event. "Thank YOU for helping to create an incredible event"
"The entertainers were all a huge hit and people still keep talking about Abby the Camel, the snake, the sword swallower, the tuk-tuks and the DJ… he was AMAZING! I have never seen an “encore” for a DJ, until Friday night! You guys are fantastic and pulled it all together seamlessly. It was truly an event to remember. " "Their professionalism and end product created the unforgettable final night for our special group." "If you need a group to find just that spectacular performer or creative performance, I cannot think of a better recommendation to do this than the Imprint Group. We had to trust in the final product, as it would be difficult to preview, but they surpassed our expectations. My sincere thanks for their hard work." Imprint Live Music bands have performed all over the world, continuously impressing audiences with their dynamic styles and crowd-pleasing performances. Our exclusive offering of bands cover every style and genre, from current top 40 and country to Motown and 80s rock… and everything in between! Looking for a unique entertainment experience beyond a standard band or DJ? We offer a wide variety of specialty music acts guaranteed to give your guests an experience unlike anything they’ve heard before. We’re always innovating to develop new and unique specialty entertainment offerings! Imagine a high energy, eye popping stage show that will have your attendees on their feet and screaming for more. We bring together the best talent in the industry, from nationally touring singers and Broadway credited headliners to working, touring dancers, acrobats and specialty acts. Take your event to the next level with a custom entertainment production. Guests will be enthralled by décor, lighting, music and special performances all centered around interactive, compelling themes. 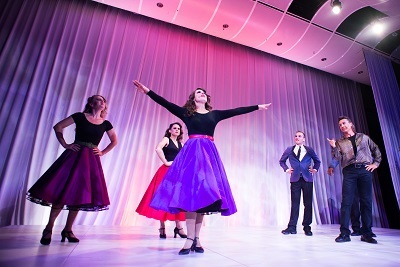 Imprint Group manages all casting, choreography, music, costuming and make-up for a seamless show! We offer a unique selection of live, interactive event enhancements to go along with any and every event theme. Whether you want oversized games, a living topiary, or an attendee generated mosaic or mural, our interactive products are perfect for your next event! Imprint Group DJs bring a high level of energy and expertise to every type of event. 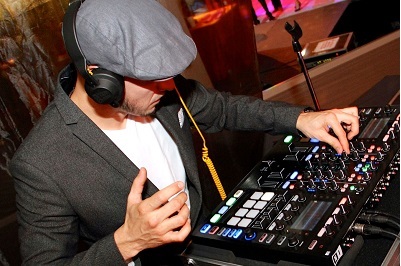 Whether for a wedding, corporate event or social celebration, our DJs enhance any event. Or take it to the next level and book one of our unique DJ plus products for an enhanced entertainment experience.